Huge Price Reduction!!! 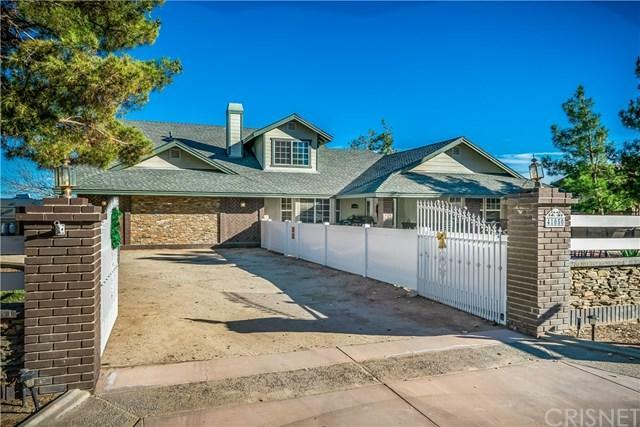 This wonderful custom home completely remodeled in 2008 is located in the very desirable West Palmdale El Dorado neighborhood on a huge 24,000 sq. 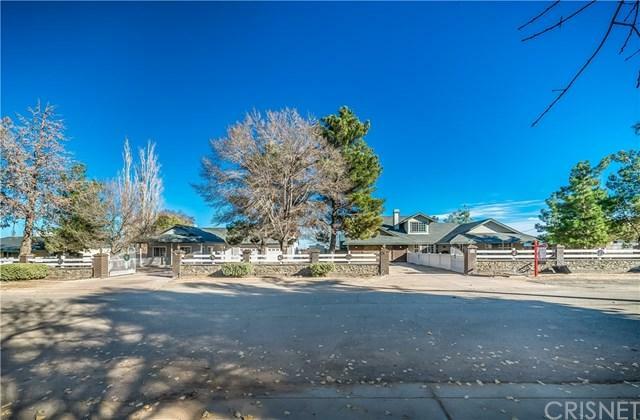 ft lot that is also zoned for horses!! This lovely property boasts tremendous curb appeal with mature tress and landscaping, block walls and wrought iron gates/fencing too! This truly unique property includes a beautiful home with over 2000 sq. 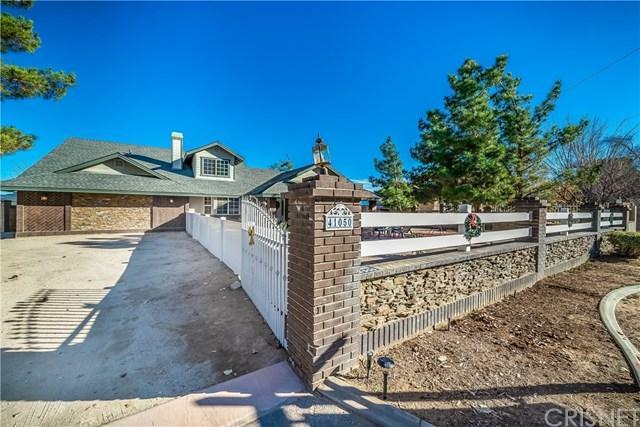 ft of living space and a separate building that can function as a guest house or a workshop or a home office that is also permitted!! There is a paved RV access area with full sewer and electric hook-ups! Live in one home and have your mother-in-law live in the other and there is still plenty of room for your boat, toys and/or kids to play! There are 2 separate garages with 3 spaces and an incredible amount of storage throughout both properties!! There is also an 800 sq. ft. multi-functional area in addition to the guest house, workshop and/or office area for the buyer to decide how to use it! The home features a formal living room/dining room with fireplace and a large family room with a cozy floor to ceiling brick fireplace conveniently located right off of the kitchen! The spacious master bedroom is downstairs and there are 2 generously sized bedrooms upstairs with a full private bath too! The backyard is fully landscaped with grassy area, lots of concrete and a covered patio w/balcony and deck! Go see this fantastic one-of-a-kind property today before it is sold!! 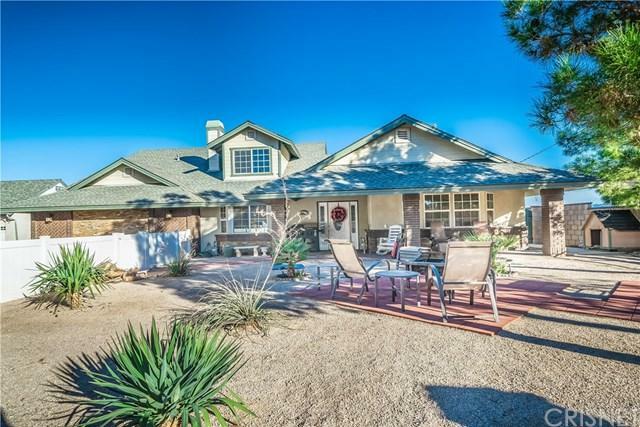 Exclusions This Property Was Originally Built in 1955 But Was Completely Remodeled in 2008!